Effective relief from IBS pain & discomfort. Targets the source of IBS pain. For medically confirmed IBS. 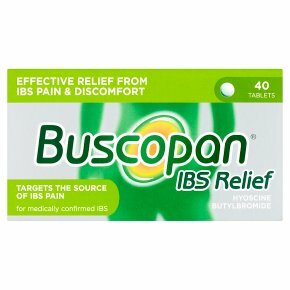 Hyoscine Butylbromide Buscopan­® IBS Relief relieves abdominal cramps which cause pain and discomfort in irritable bowel syndrome (IBS). It works by an antispasmodic effect, relaxing the cramping muscle of your bowel.